(VEN) - The Ministry of Finance announced Official Letter 12404/BTC-TCT on September 5 answering questions from businesses and economic zone authorities. 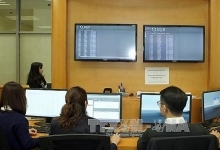 (VEN) - The General Department of Taxation (GDT) has responded to recommendations proposed by South Korean companies at an annual conference of the Ministry of Finance and South Korea companies on August 22 on not applying personal income tax on costs of lunches, mid-shift meals, housing, and air tickets more than one times per year for South Korean workers. (VEN) - Mergers and acquisitions (M&A) in the banking sector in 2014 are not as common as in previous years when most of the M&A cases involved smaller banks merging into larger banks. This year a number of leading banks merged to create greater strength. 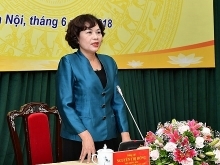 (VEN) - The General Department of Taxation issued Decision 1307/QD-TCT on selecting enterprises for VAT refund implementation for goods purchased in Vietnam by foreigners and overseas Vietnamese. (VEN) - Non-cash payments are becoming more widespread in Vietnam. This can be seen through the growing number of card users, automated teller machines (ATMs) and points of sale (POS). 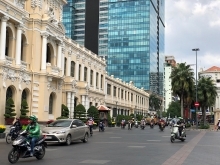 The State Bank of Vietnam (SBV) said that along with promoting payments through POS, many commercial banks had asked for permission to provide payment services through mobile points of sale (mPOS). (VEN) - State Bank Governor Nguyen Van Binh gave an Excellent Working Team award to Standard Chartered Vietnam on August 27 for a second year in recognition of its outstanding achievements and contributions to the community in 2013. (VEN) - The Ministry of Finance (MoF) recently submitted to the government some tax solutions helping businesses overcome difficulties. Accordingly, the MoF proposed a not more than 60 day extension of the time limit for paying the value added tax imposed on the import of machinery and equipment with total value of VND100 billion or higher. (VEN) - The realization of value added tax (VAT) refund for foreigners buying goods in Vietnam and exiting the country proved that Vietnam’s tax policy has begun to meet international practices. However, only a modest number of visitors have taken advantage of the refund. (VEN) - Ministry of Finance Circular 78/2014/TT-BTC not only reduced Corporate Income Tax (CIT) by 3 percent to 22 percent but also provided many other incentives to enterprises.